Over the past two decades, scholars and practitioners have taken a keen interest in the field of Sport for Development and Peace (SDP). These efforts have largely focused on and debated the merits of sport as a tool for development, diplomacy, and peacebuilding in under-resourced, underdeveloped, and conflict regions. Making sense of the positive contributions that sport can offer to such complex and multi-faceted issues requires understanding the various connections and meanings that individuals and communities ascribe to their sporting experiences. This book offers a unique outlet for research that engages with, rather than makes claims about, individuals and communities around the world. Diverse, contemporary, and thought-provoking examples of qualitative methods in the study of SDP are detailed, along with rich, meaningful, and provocative insights from these studies. Readers are invited to think critically about the fields of enquiry, philosophical underpinnings, and methodologies utilised, as well as the audiences engaged and topics explored. We hope readers will join us in considering how these chapters can push the SDP field into more rigorous, methodologically innovative, and diverse approaches to research and evaluation, while also engaging with actors who are still often spoken for or about, rather than with. 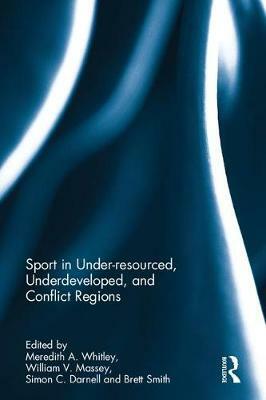 This book was originally published as a special issue of Qualitative Research in Sport, Exercise and Health.